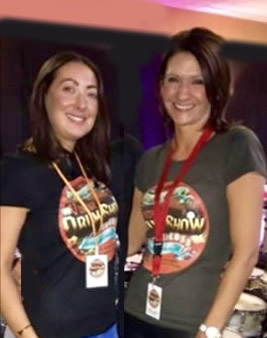 Sticky Wicket has been working, touring and recording for the past 40 years working with a whole host of artists including Steve Marriott, Roger Daltry, Steve Gibbons Band, Van Morrison, Joe Cocker to name but a few. 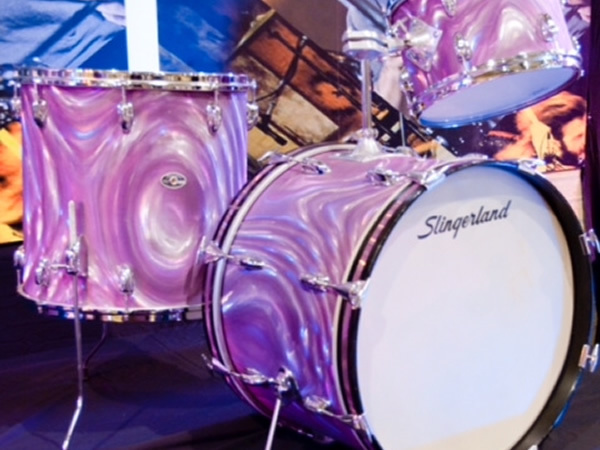 Sticky also runs his own successful Swing Orchestra and has an extensive Collection of vintage drums. Sticky will be performing on Saturday 12th Oct and for those of you who haven’t seen him in action are in for a treat ! I have been working over the last 40 years in professional, touring bands and recording studios playing many various styles of music and very often with top level British artistes. 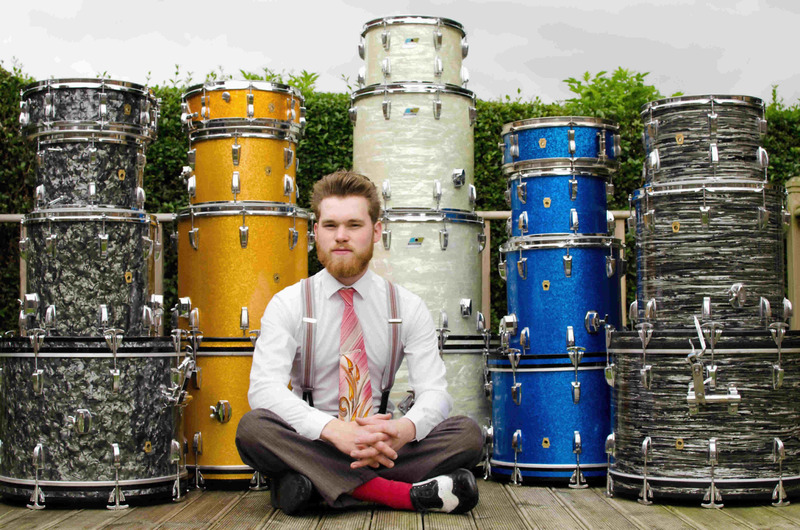 Jack Amblin has been a full time musician since 2013, playing around 240 gigs a year, specialising in early jazz from the 1920s and 1930s, jump jive in the 1940s and rock 'n' roll from the 1950s. Jack will be doing a little talk and break down of the jump jive / Louis Prima shuffle feel. Sounds simple, but it's pretty tricky! Jack started playing at the age of 10, and attended Royal Welsh College of Music and Drama 2008 - 2010; then Leeds College of Music from 2010-13. 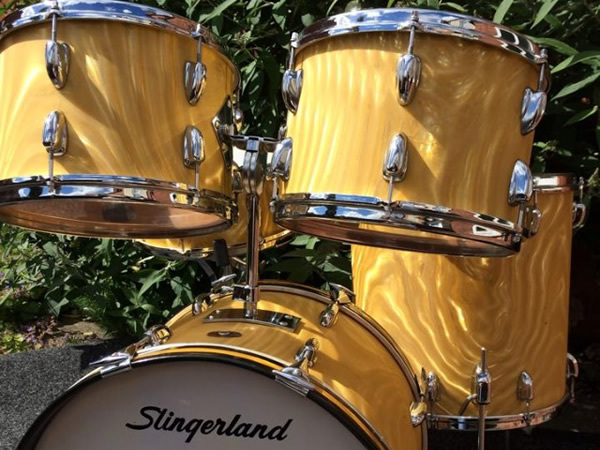 A full time musician since 2013, playing around 240 gigs a year, specialising in early jazz from the 1920s and 1930s, jump jive in the 1940s and rock 'n' roll from the 1950s. A regular dep with Ray Gelato & The Pasadena Roof Orchestra, as well as appearing at various UK jazz festivals including Upton, Pershore and Keswick. Play in two vintage bands playing original music - The Washboard Resonators and Howlin' Ric & The Rocketeers. 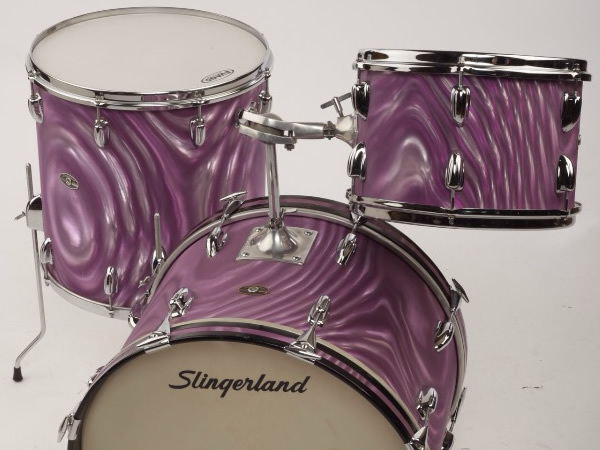 Main influences include Gene Krupa, Baby Dodds, Zutty Singleton, Papa Jo Jones, Jimmy Vincent and many others! There are transcriptions of some of these players on my Youtube channel. 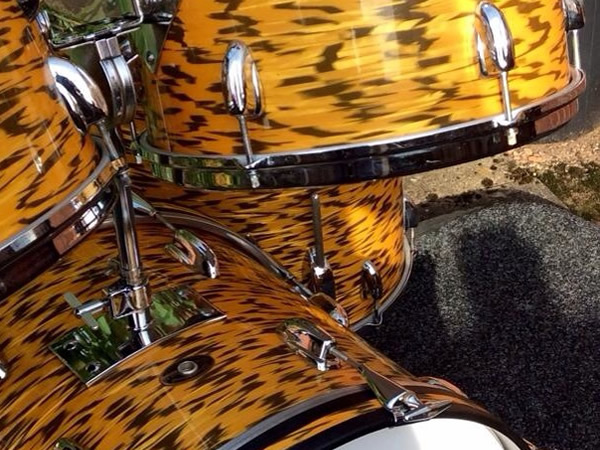 Neil is a phenomenal in demand drummer and we’re delighted to have him perform at this year’s show on the Sunday. 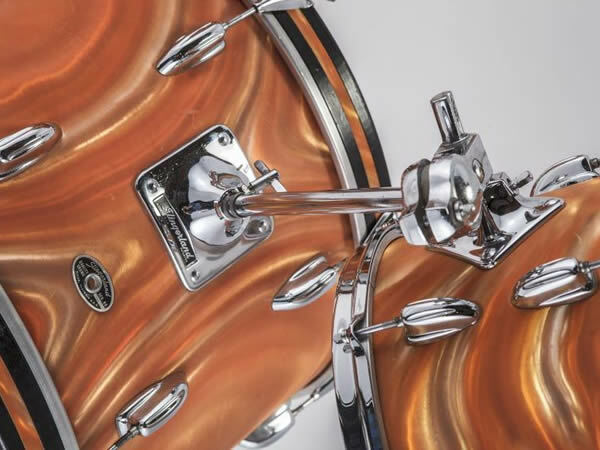 Along with a performance Neil will chat about the industry and everything that is Drums ! Neil is a powerhouse in any setting wether it be Jazz or more contemporary with a list of clients which explains why he’s so busy, A must see performance at this year’s show. 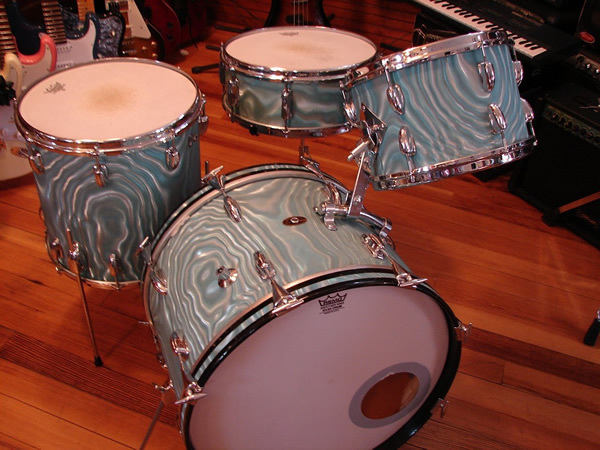 Neil Bullock turned professional at the age of seventeen, having started playing drums at the age of eight. 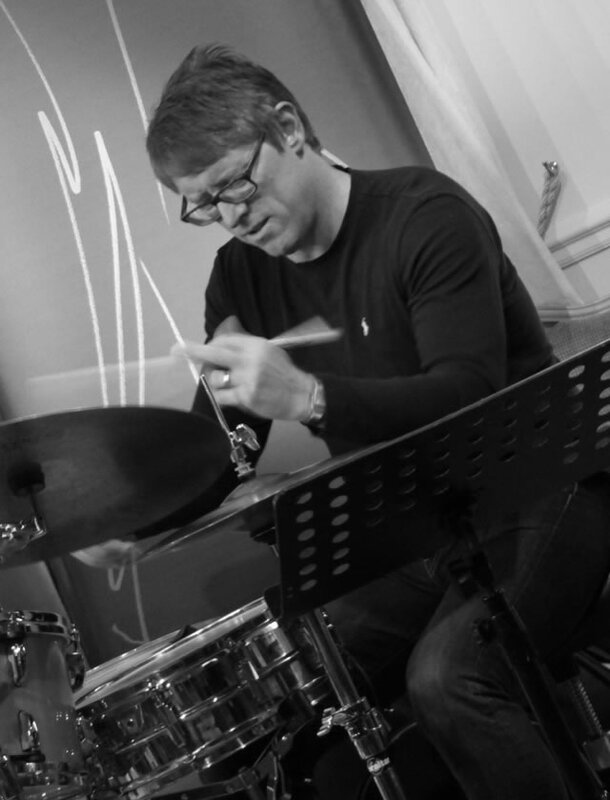 Neil studied privately with the world renowned drummer Mal Garrett from Birmingham's Conservatoire. 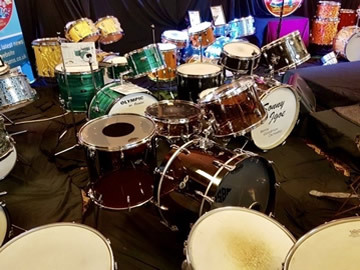 Neil won a clutch of awards as a teenager, including two musicians' union most promising young musician awards, three TV Times outstanding drummer, The BBC Kenny Clare drummer prize (Broadcast on Radio 2)and the Musicians' union outstanding musician award. At this time Neil was a member of the Midland youth jazz orchestra, which he left at the age of twenty one after appearing at the Montreux jazz festival in Switzerland. 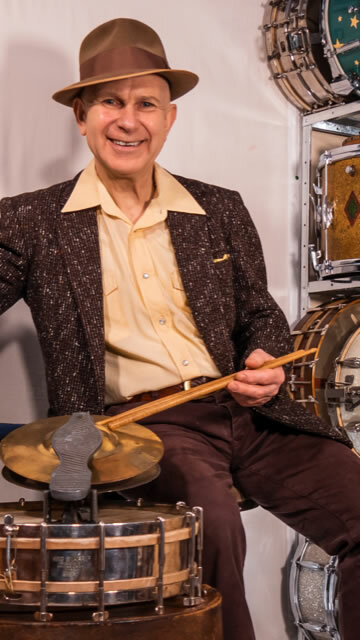 After a meeting with Danny Gottlieb, (Pat Metheny), Neil went to New Jersey to study with Dave Brubeck's world renowned drummer, Joe Morello and also studied privately with the greatest exponent of the Moeller technique, Jim Chapin. Neil joined The Red Lemon Electric Blues Band at a young age and went on to tour with Chuck Berry, played shows as support to Robert Plant and made a record number of appearances at Ronnie Scott’s. Over the last few years Neil has worked on numerous occasions with the BBC Big Band on both BBC sessions and live. Neil is currently the drummer for Matt Goss (Bros) and has just completed a 5 night run at the Shepherds Bush O2 and a major Uk tour in 2017. Neil is also exclusively the drummer for Kenny Thomas with a Uk tour announced for 2019. Neil is also currently touring with Chris Bowden’s Unlikely Being with a retrospective concert of Chris’s seminal Time Capsule album scheduled for January 2019 at The Union Chapel Islington. This gig is supported by Giles Peterson BBC 6 Music. Some of the artists Neil has worked with include; Broadcast (Warp Records) St Etienne, Mica Paris, Beverley Knight ,Steve White (Paul Weller), Ian Paice (Deep Purple), East 17, Baby D, Chaka Kahn, Chris Bowden's Tomorrow band, Steve Gibbons, Mari Wilson, BBC big band, Kenny Thomas, Jane McDonald, Kid Creole, Mark Nightingale, Dave O'Higgins, Gerard Percencer, Jean Toussaint, John Horlers modern jazz trio, John Etheridge, Sheila Ferguson, Temptations, Anthony Costa (Blue), Daniel Pearce (Pop Stars the Rivals winner), Steve Brookstein (X-Factor winner), Michelle McManus (Pop Idol winner), Noel Sullivan (Hearsay), Louise Marshall (Jools Holland), Chris Storr (Jools Holland), Clare Teal, Bryan Corbett Quartet, Fat Chops big band, Syd Lawrence big band, Stacey Kent, Lee Gibson, Cliff Richard, Tony Christie, Lesley Garret, Sara Coleman, Alan Barnes, Bernie Marsden (Whitesnake), Jon Brookes (Charlatans), Sean Freeman (level 42), Yorkshire TV house band, Central TV house band. Jeff Hooper Big Band. Into The Groove-New Star Studied Band. P.P Arnold (Small Faces). Tony Jacobs’ touring show. Beebe, Alan Barnes, Tommy Blaize (BBC Strictly Come Dancing Vocalist), Ben Markland Quintet, Julian Mark Stringle’s Dream Band, Sue Greenway Big Band, Matthew Ford Theatre Tour and band. Jeff Hoopers’ Swing Easy Big Band. Fillet of Soul Featuring Jools Holland Horns, Jane McDonald’s Touring Band. Neil has recently joined Kenny Thomas’s touring band. He has also just joined Digby Fairweather’s London Half Dozen and his Premier Quartet. Paul Higgs - Shades of Miles. The KOGO Project. Lets Twist Again-Chris Madin - Main singer on BBC Strictly Come Dancing. Boogie Nights - Anthony Costa, Alvin Stardust. Oh What A Night - Kid Creole. What a Feeling - Noel Sullivan. Legends of Soul - David Guest, Sheila Fergurson, Rose Royce. HAHA sound - listed in the Guardian newspaper's 1000 records to hear before you die, Pitchforks top 50 albums of 2003, top electronic albums of 2003 in America. PENDULUM EP - listed in Bjorks top ten playlist in the Guardian and made John Peel's (Radio One) festive 50 of 2003. WITCH CULTS OF THE RADIO AGE - Paul Wellers’ favourite album of 2009. KIKA - (Universal) No 1 album in Pourtugal 2012. MATTHEW FORD-(diving duck) Portrait. The Swing Thing. Live and Swingin. STILL CORNERS - (Wrecking Light) - New album - Dead Blue. BRYAN CORBETT QUARTET - Message of Iridesence. FAT CHOPS BIG BAND –A Nightingale Sang - Guest Mark Nightingale. CHRIS BOWDEN’S TOMORROW BAND -Three to get ready, two to get set, one to go. 3 Album Triology. CHRIS BOWDEN’S UNLIKELY BEING - (UK Vibe) - Unlikely Being. BEBEE - Chris Aldridge - Twisted, The Zig Zag Theory, 12. Neil performed in The World’s Greatest Drummer, a tribute to Buddy Rich, and was also asked to be the featured drummer at 'A Night to Remember', a tribute to Ronnie Verrell (Animal from The Muppets, Ted Heath and The Frank Skinner show). Neil has featured in a five page article in Rhythm magazine and has appeared in Drummer magazine. 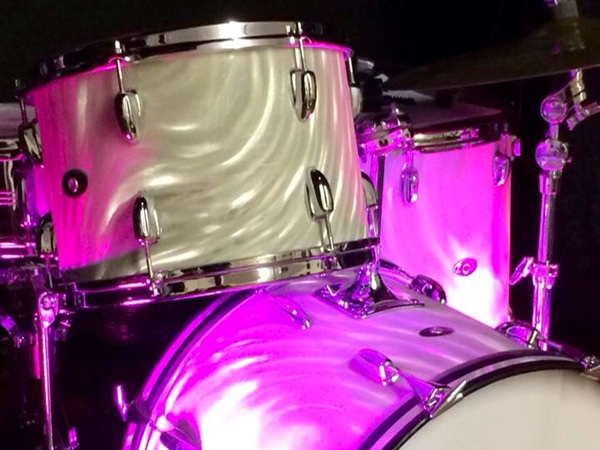 STRATFORD HERALD REVIEW- BRYAN CORBETT QUARTET - Neil Bullock was introduced by Bryan as "the drummer “and you won't find any dissenters around here. He is in fact another of the select few mentioned above and every time he plays here is a reminder that we're unlikely to see anyone better. Neil has worked as a private teacher for all of his professional life. AMS Birmingham-Foundation Degree.-2009-Present. Currently ACM. Chipping Campden School-Peripatetic Drum Teacher-1999-2011. Leicester Grammer School-Drum Teacher 1995-1999. 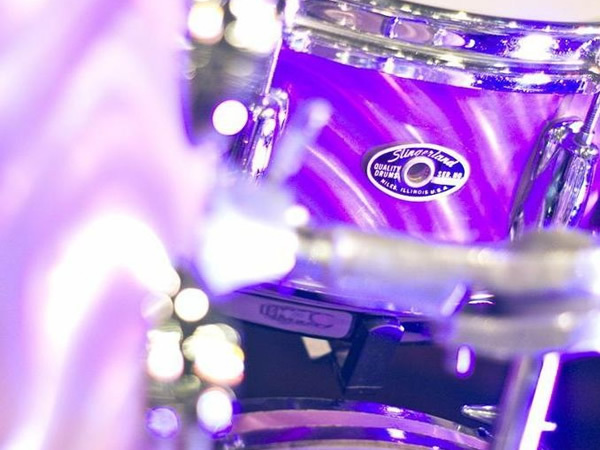 Neil has also performed as a clinician for Sabian Cymbals. Independent Clinician. 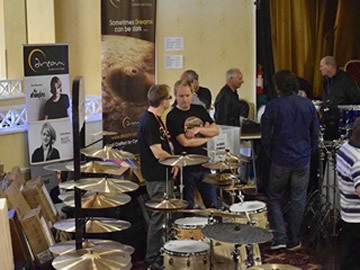 Main guest Clinician at the UK Drum Fair in 2010, 2012 and 2014. For more info on Neil Bullock check out www.neilbullock.com and Facebook. 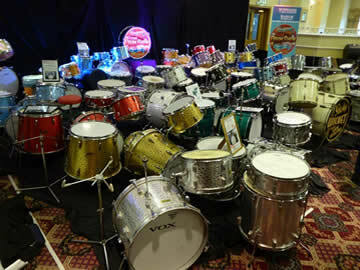 Simon John's Vintage Drum Show is an annual event organised, promoted and managed by drummers for drummers to provide an opportunity for the display, promotion, trading of drums, associated products/items and drumming skills to be available to the drummers and potential drummers of the UK and beyond. It is a non-profit organisation and seeks to be self-funding. 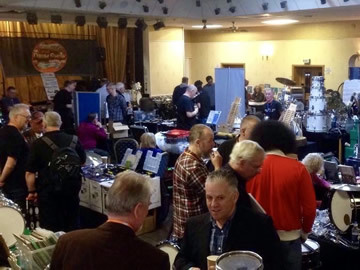 The 2019 show will be held over the weekend of 12th and 13th October at the Standard Triumph Club in Coventry. A fascinating city in its own right, Coventry is at the heart of the English Midlands - close to Birmingham, Leicester and the historic towns of Worcester, Leamington and Stratford upon Avon. The city of Lady Godiva is steeped in history - it was briefly the capital of England in the 15th century - and with two universities and a population of 300,000, it offers plenty of culture including the Coventry Music Museum and some lively nightlife and live music in the nearby suburb of Earlsdon. Literally a stones throw away, the Village has everything you want from a hotel - gym, swimming pool, restaurant and bar. Easy access from the A45 via M6 and M69 or Canley Railway Station. Set in a prominent art deco building, this is a modern no-frills hotel 1.5 miles away. Rooms feature en suite bathrooms, complimentary Wi-Fi, flat-screen TVs and desks, as well as tea and coffeemaking facilities. Kids aged 15 and under eat and stay free with a paying adult. Easy access from the A45 via M6 and M69 or Canley Railway Station. Been there, done that, now get the T Shirt! 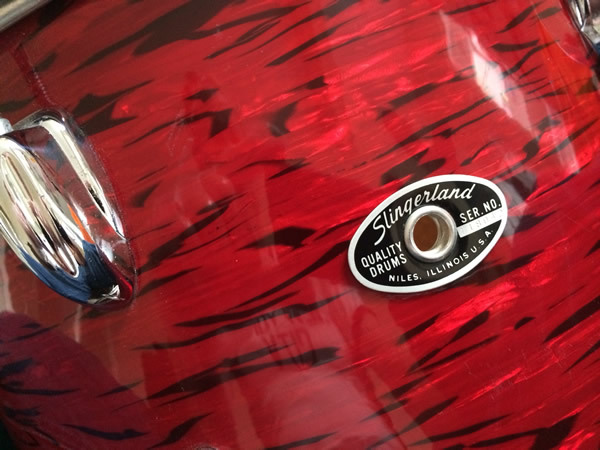 One of the big surprises at last year's show was the demand for Vintage Drum Show merchandise featuring the logo. All we had were a dozen T shirts! After repeated requests for beanie hats, hoodies, even badges and stickers we're giving in and will be offering a selection of goodies at the show. You will also be able to order out of stock things at the show which we'll post on to you.